The herons are long-legged freshwater and coastal birds in the family Ardeidae. 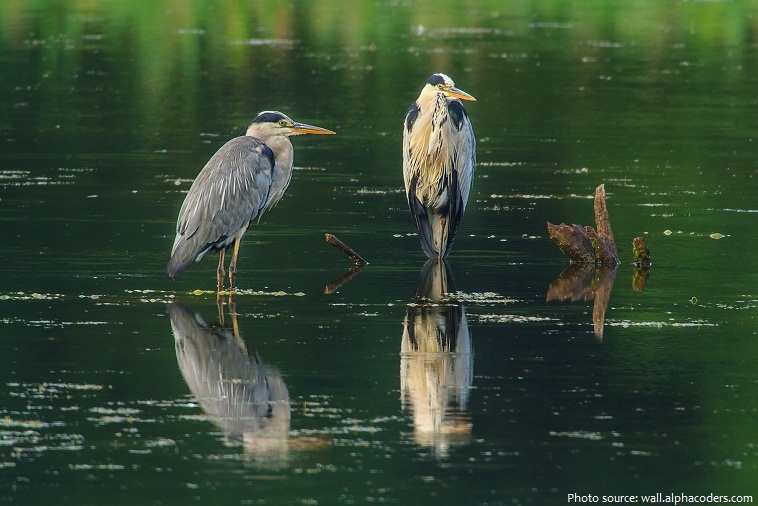 There are 64 different species of herons that differ in size, color and type of habitat. 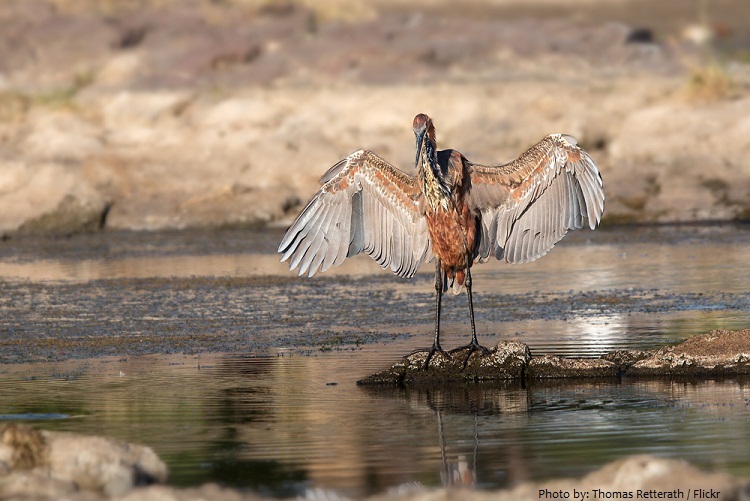 Herons can be found on each continent except on Antarctica. 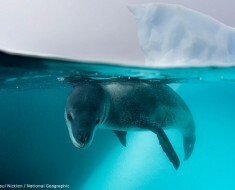 The average lifespan is around 15 years in the wild and up to 25 years in captivity. 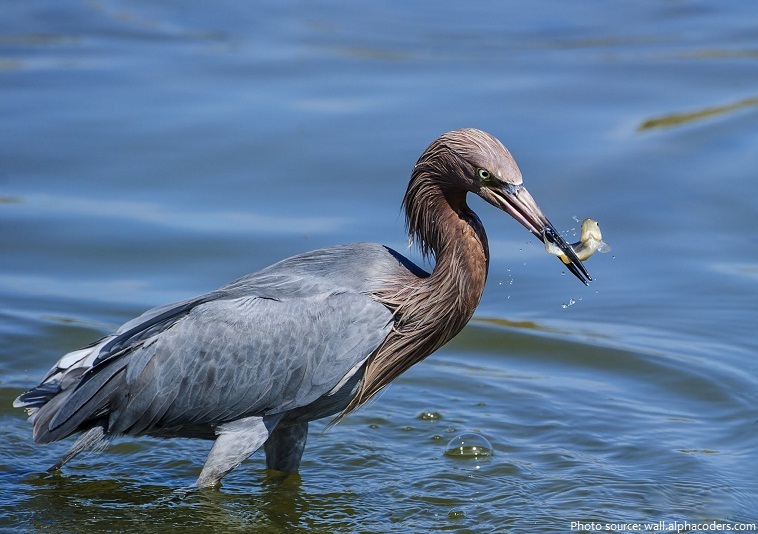 Herons can be recognized by their long, S-shaped neck, dagger-like bill and long legs. The smallest species is usually considered the little bittern (Ixobrychus minutus) measuring 25–36 centimeters (9.8–14.2 inches) in length, 40–58 centimeters (16–23 inches) across the wings and weighing 59–150 grams (2.1–5.3 ounces). The largest species of heron is the Goliath heron (Ardea goliath) which stand up to 152 centimeters (60 inches) tall, the wingspan is 185–230 centimeters (73–90.5 inches) and the weight is 4–5 kilograms (8.8–11.0 pounds). Color of the plumage can be grey, white, brown or black, depending on the species. Herons are carnivorous. 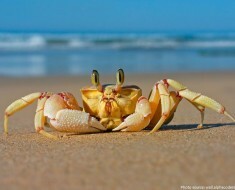 The diet includes a wide variety of aquatic animals, including fish, reptiles, amphibians, crustaceans, molluscs and aquatic insects. 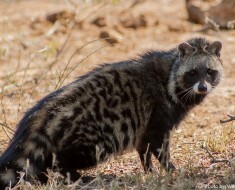 Many species will also opportunistically take larger prey, including birds and bird eggs, rodents, and more rarely carrion. 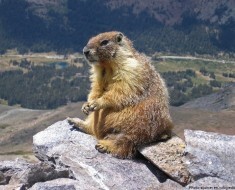 The most common hunting technique is for the bird to sit motionless on the edge of or standing in shallow water and wait until prey comes within range. Than quickly straightening their S-shaped neck toward the victim. 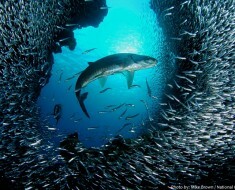 Fish and other prey will be stabbed with sharp bill and swallowed in one piece. 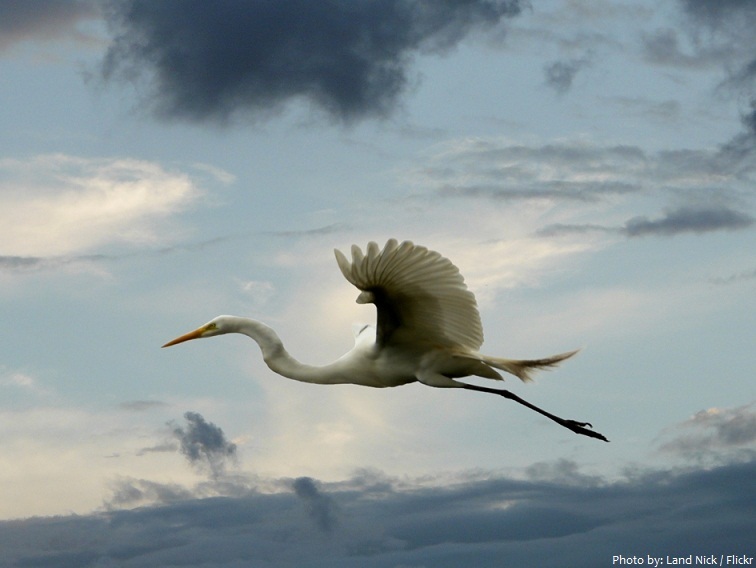 Herons are excellent flyers that can reach the speed of 48 kilometers (30 miles) per hour. 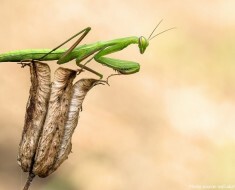 During the flight, their neck is curled in S-shape, while legs dangle behind the body. 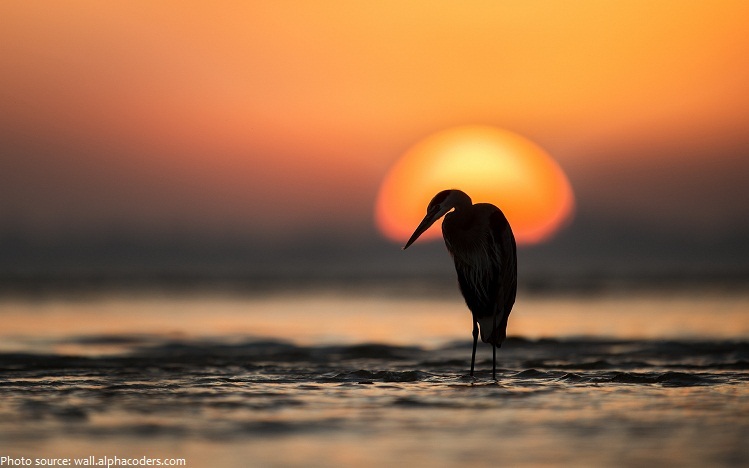 The herons are a highly mobile family, with most species being at least partially migratory. While the family exhibits a range of breeding strategies, overall the herons are monogamous and mostly colonial. Colonies may contain several species as well as other types of waterbird. 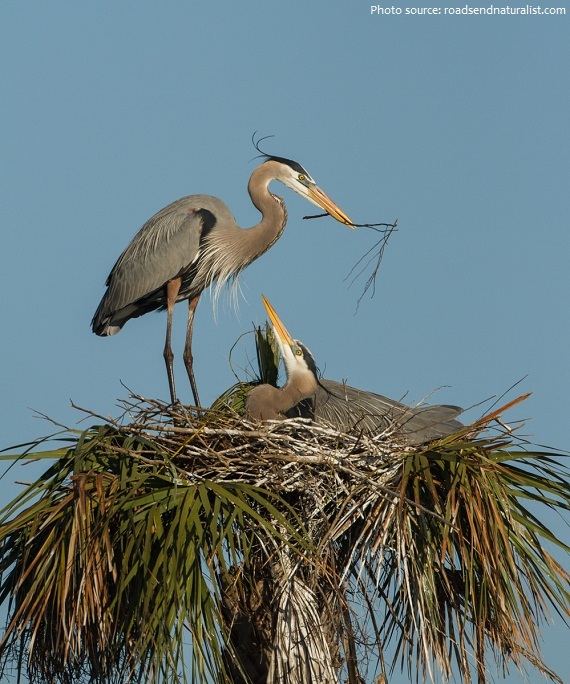 Herons build their nests in tall trees so that the eggs are safe from the predators on the ground. The nest of the heron is build out try leaves and twigs by both the male heron and the female heron. The female heron lays between three to seven eggs per clutch which hatch after an incubation period of around 1 month. 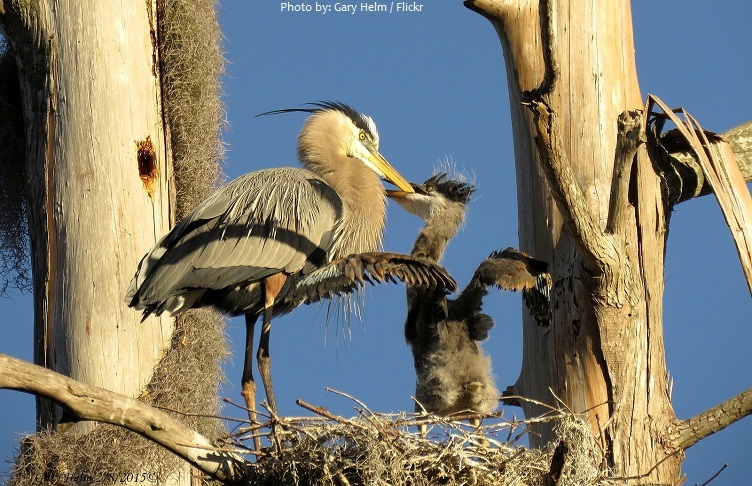 Both the male heron and the female heron help to incubate their eggs and feed the tiny heron chicks. Young chicks are able for independent life after 49 to 81 days. 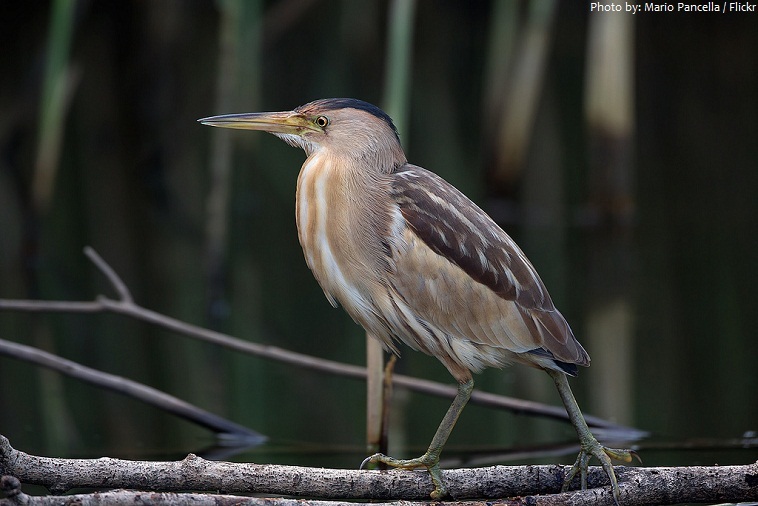 Main predators of herons are minks, foxes and raccoons. They predominately prey on the eggs of the heron and their young rather than the adult heron itself. Herons are not considered to be threatened or endangered animals although concerns have been raised about the health-risks to the world’s heron populations. 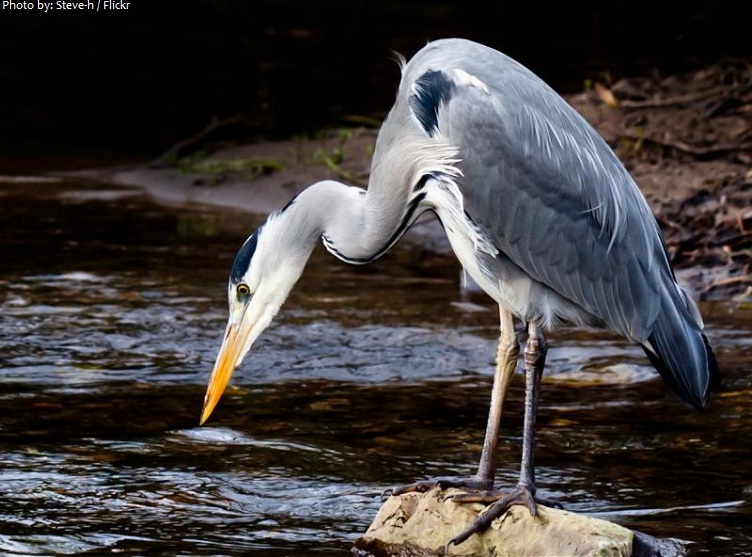 Pollution is a major factor in the decline of many animal populations around the world, and pollution in the water can have a devastating effect on the fish which the heron eat. Although herons resemble birds in some other families, such as the storks, ibises, spoonbills and cranes, they differ from these in flying with their necks retracted, not outstretched. The word heron is rather old and of uncertain origin. It appeared in English language c. 1300, originating from the Latin aerius meaning aerial, or from Old French hairon, eron (12 century), earlier hairo (11 century), from Frankish haigiro or from Proto-Germanic hraigran. 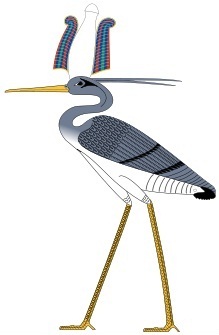 The sacred Bennu bird is often represented in ancient Egyptian art as a heron, that is characterized by two long feathers streaming from the back of the head. The ‘Bennu’ Bird was believed to represent the soul of the Ra, the Supreme Sun God. In Greek mythology, the heron has been indicated as being a messenger from the gods, including deities like Athene and Aphrodite. As a Chinese symbol the Heron represents strength, purity, patience and long life.